Each container of B12, B6, Folic Acid & Selenium from Superior Source contains 60 servings. Notes: Preservative Free. Made in USA. 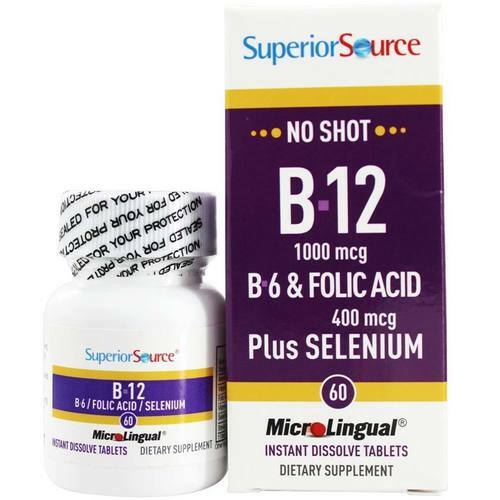 The customer reviews posted below are based on individual consumer experiences and may NOT necessarily represent what expected results will be from using or taking Superior Source No Shot B12 Cyanocobalamin - 1,000 mcg w/ B6, Folic Acid and Selenium - 60 Tablets. These results may not be typical and you should not necessarily expect to receive the same results. Actual results may vary.